This two day festival celebrates Rains County being declared the "Eagle Capital of Texas" by the Texas Legislature in 1995 as part of an effort to protect and preserve the American Bald Eagle. Lake Fork, Lake Tawakoni and the surrounding areas are nesting and feeding grounds for bald eagles and over 260 other varieties and species of wild birds. 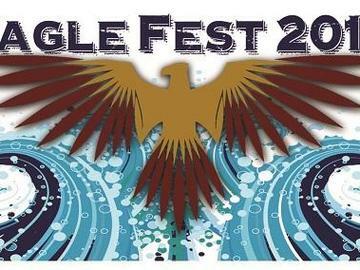 The highlight of the festival is the bus and barge tours to the lakes to see the bald eagles in their natural habitat. The festival venue includes bird and animal exhibits and programs, live entertainment and music, a nature photo contest as well as educational speakers. Saturday's tours will be on Lake Fork and Sunday's tours will be on Lake Tawakoni. No outside food/drink will be allowed into the venue. School District property does not allow guns/knives on property, thank you for your understanding.